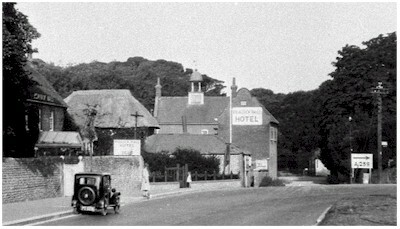 The Mulberry is still situated on a corner of the A259, a popular coastal road. 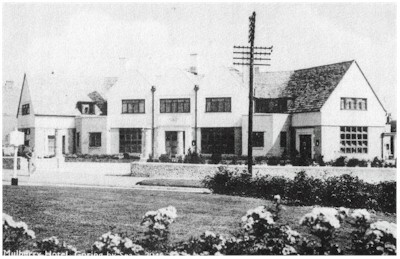 Built in 1937 in a classic road-house style, it replaced the Peacock Hall Hotel that stood on the original site - shown top left. 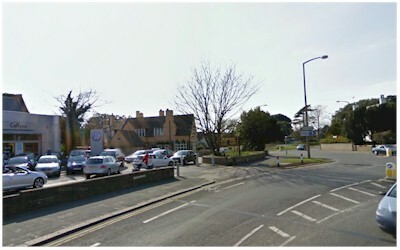 I have often wondered why the front of this building just seems to be facing the wrong way. 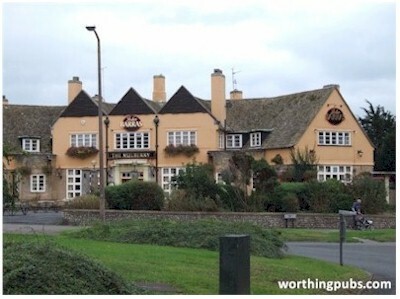 June 2011: The Mulberry closed for a £365,000 refit and re-opened as a 'Flaming Grill' pub - part of the Punch Pub Co. It has recently come to light that Roy Frederick Knight, then 18 and son of the landlords Leonard and Rebecca Knight, was placed as temporary Midshipman on board HMS Hood in April 1941. Sadly he died in battle when it was sunk on the 24th of May that year by the Bismarck. Our thanks to Jan Flowers who also lost one of her uncles in the conflict. Terry Courtnadge recalls a Silver Service restaurant in the south bar where he used to work after school. He remembers the owners went on to the Anchor, now the Corner House.